According to IRS Publication 590 - Generally, a prohibited transaction is any improper use of your traditional IRA account or annuity by you, your beneficiary, or any disqualified person. 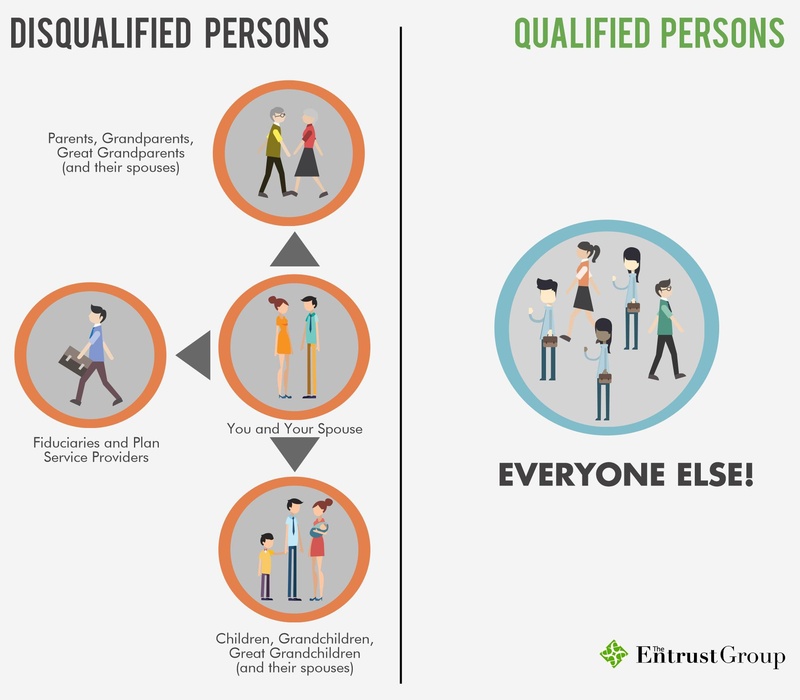 Disqualified persons include your fiduciary and members of your family (spouse, ancestor, lineal descendant, and any spouse of a lineal descendant). An officer, director or a 10% or more share holder or partner. What investments are NOT permitted by the IRS? Sale, exchange or leasing of a property between an IRA and a disqualified person. Extension of credit or cash loan between an IRA and a disqualified person. Furnishing goods, services, or facilities between an IRA and a disqualified person. A Self-Directed IRA allows you more investment options and flexibility than many other retirement accounts but it is of the upmost importance to avoid prohibted transactions in order to adhere to IRS rules. Failure to comply may lead to costly and serious consequences. If there is a prohibited transaction in connection with an IRA account at any time during the year, the account stops being an IRA as of the first day of that year. The IRA is treated as distributing all its assets to the IRA owner at their fair market values on the first day of the year. If the total of those values is more than the basis in the IRA, the IRA owner will have a taxable gain that is includible in his or her income.